The cash price with payment by Money Order, Cashiers Check, Bank Wire Transfer or Direct Deposit is $1.39 per ounce over spot silver price + insured S&H for one bar up to two bars. With payment by Credit Card or PayPal the price is $2.69 per ounce over spot + insured S&H. 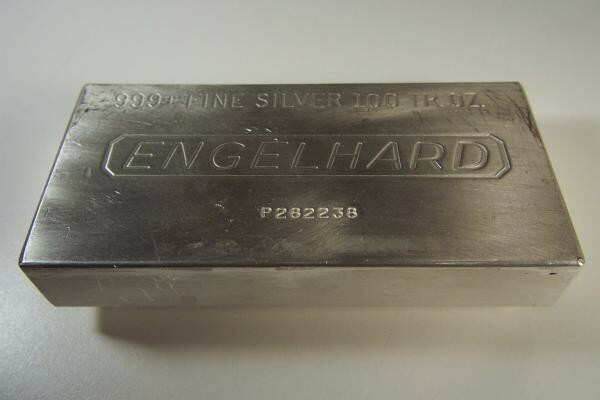 Please call us at: 469-288-0658 or email us at: goldnuggetsales@gmail.com for a firm price including insured S&H on up to 2 of these .999 pure silver 100 Troy Ounce bars. 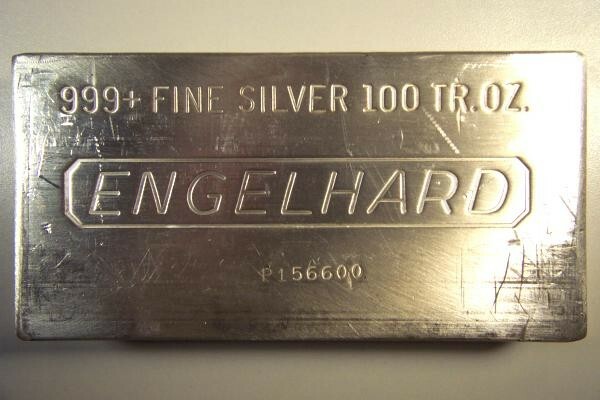 These bars will be much harder to come by in the future because in 2006 Engelhard was taken over by another company.